JAGUAR XE – WITH EXCLUSIVE MILITARY SAVINGS. 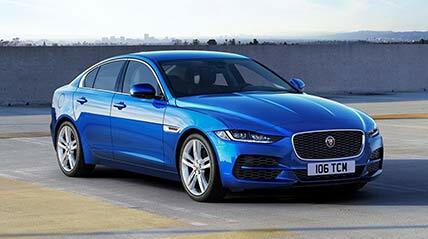 JAGUAR XE - The most advanced, efficient and refined sports saloon that Jaguar has ever produced. 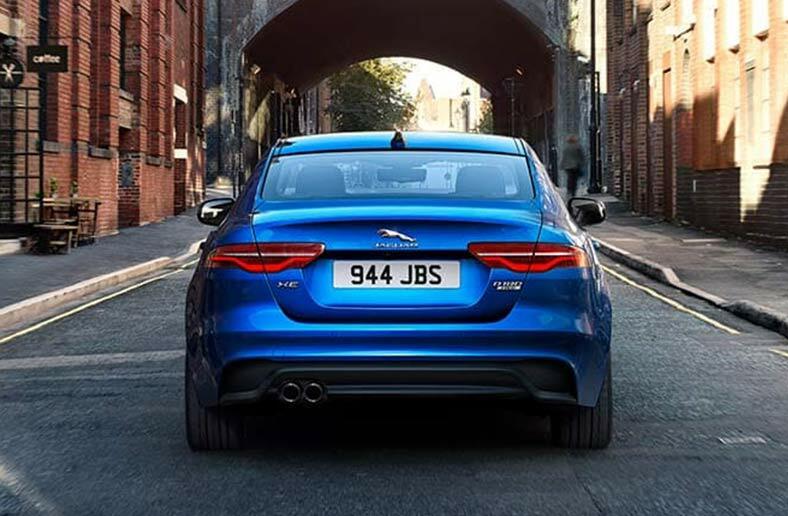 With its assertive looks and agile drive, the Jaguar XE is instantly recognisable as a Jaguar. It feels like a Jaguar, it drives like a Jaguar – XE is a Jaguar to its core. With a drag co-efficient as low as Cd. 0.26, XE cuts through the air to improve efficiency and refinement. From the outright exhilaration of a supercharged V6 capable of 0-60 in 4.8 seconds to the frugality of low CO2 emissions, there is a range of engines to suit every driving style. If you’re a full-time serving member or former serving* member of Her Majesty’s Forces, you’re entitled to preferential prices on a new Jaguar. Call or visit to find out more. Bolder and more assertive. Unmistakable sportiness outside and inside. The essence of XE. Class leading, driver-focused performance with refinement. Find your own balance of efficiency, performance, and luxury with the Jaguar XE model range. With a drag co-efficient as low as Cd. 0.26, XE cuts through the air to improve efficiency and refinement. From the outright exhilaration of a supercharged V6 capable of 0-60 in 4.8 seconds to the frugality of combined CO2 emissions as low as 99g/km, there is a range of engines to suit every driving style. JAGUAR XE. Prices correct at time. Terms and Conditions Apply - please contact us for today's pricing. 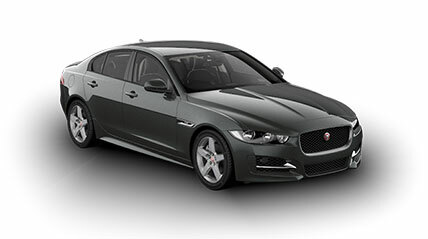 JAGUAR XE - Please call for more Prices correct at time. Terms and Conditions Apply - please contact us for todays's pricing. All prices on this web site are subject to change without notice. While we make every effort to provide you the most accurate, up-to-date information, occasionally, one or more items on our website may be incorrectly priced. Where a product is listed at an incorrect price due to typographical, photographic, or technical error or error in pricing information received from our suppliers, Marshall shall have the right to refuse or cancel any orders placed for product listed at the incorrect price. If an item’s correct price is higher than our stated price, we will notify you of the price error . You will, of course, have an opportunity to purchase the item at the correct price, if you so wish. If an item’s correct price is lower than our stated price, we will charge the lower amount. *Saving shown is available in BFG via Grant and Green and also on the 300ps Auto AWD Portfolio in other qualifying sales areas. Representative example based upon 48 months 10-15% deposit, an annual mileage of 10000 miles per annum and 6.2% APR. Credit is subject to status and only available to applicants aged 18 and over, resident in mainland UK and N. Ireland. Land Rover Financial Services, St William House, Tresillian Terrace, Cardiff CF10 5BH. Credit is provided by Black Horse Limited trading as Land Rover Financial Services. Calls may be monitored or recorded for quality and security purposes. Calls will cost no more than a UK national rate call to 01 or 02 telephone numbers and will also count towards inclusive UK call minutes provided in telephone and mobile phone contracts. Credit is provided by Black Horse Limited trading as Land Rover Financial Services. Land Rover Financial Services, St William House, Tresillian Terrace, Cardiff CF10 5BH.